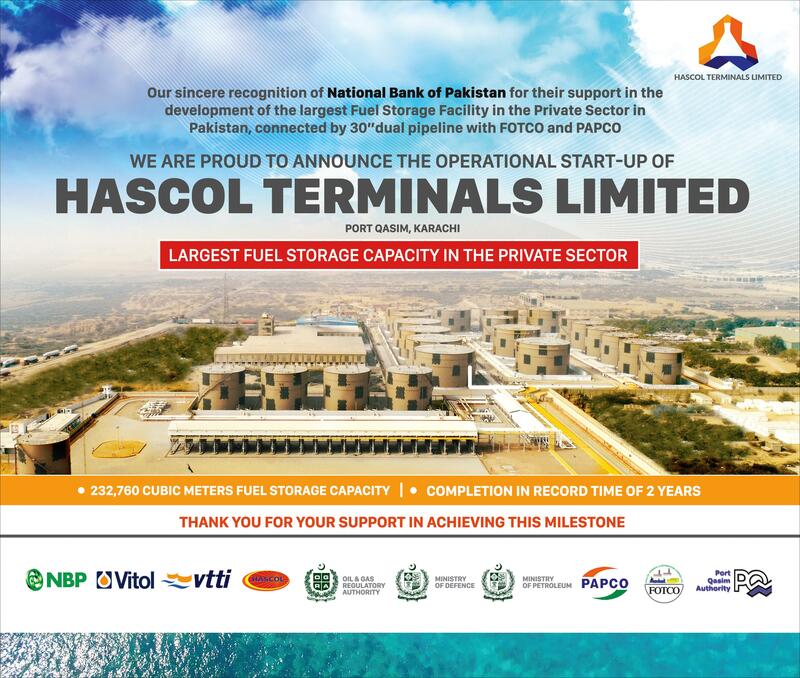 Largest Fuel Storage Capacity In The Private Sector HASCOL Terminals. 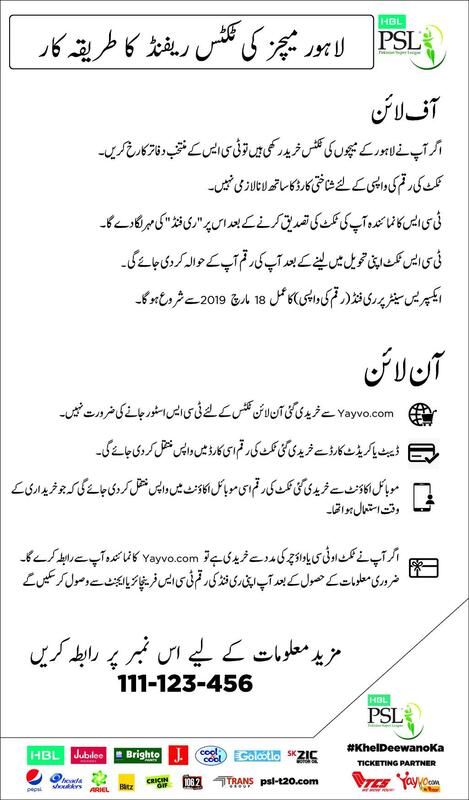 PSL Lahore Matches Tickets Refund Procedure Pakistan. Hasan Siddiqui Our Proud Pakistani National Hero. 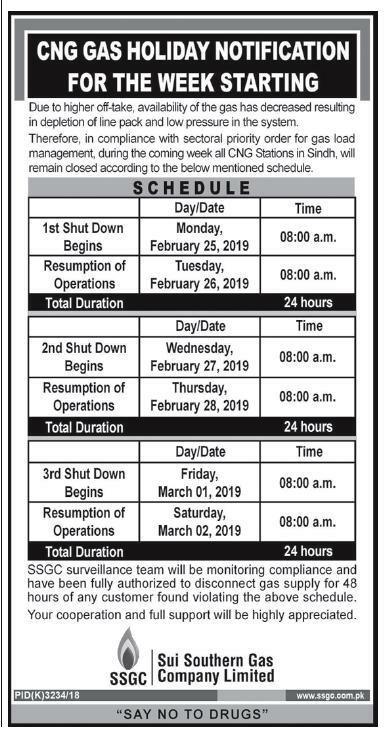 CNG Gas Holiday Notification For The Week 25 Feb - 02 March 2019. 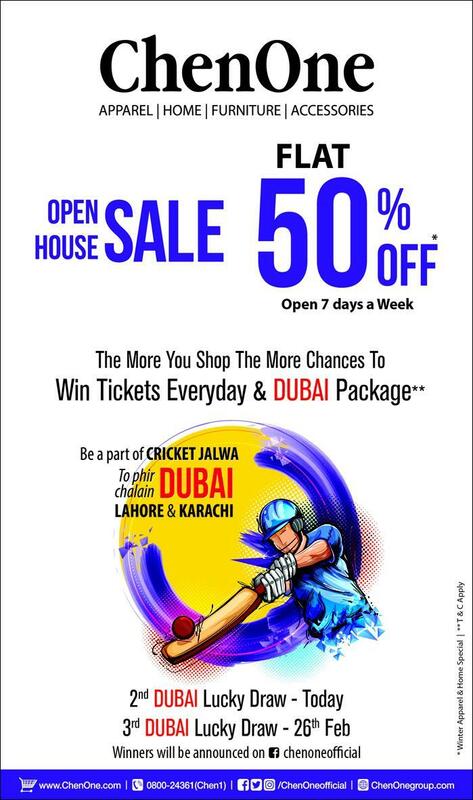 ChenOne Open House Sale Flat 50% Off Pakistan.